We are located just inside the Chapleau Crown Game Preserve, which gives you an excellent opportunity for wildlife photography. Fish for lake trout, pike, whitefish and walleye. We have eight housekeeping cabins on the shore of Como Lake. We operate a clean, quiet resort, giving you a place to bring the family or to come and just sit back and relax. You have a choice between Housekeeping and American Plan. 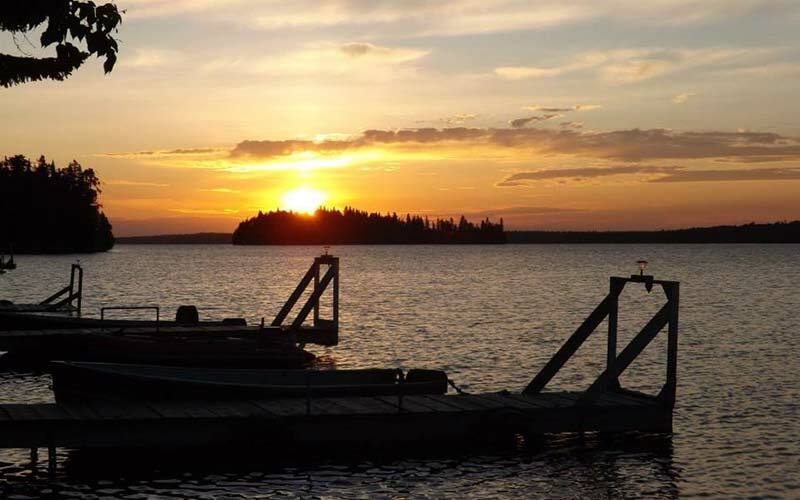 We have twelve roomy campsites with water, electric hookups clean washrooms and free showers. We can accommodate large RV’s with our pull through sites and have smaller sites for the smaller units. Sandy beach and beautiful sunrises. We now have WiFi for your convenience.